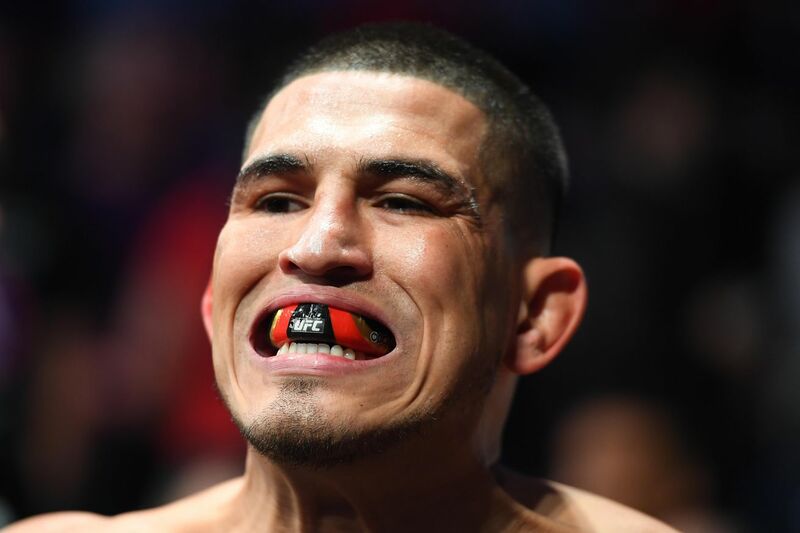 Victorious main event and co-main event fighters Anthony Pettis and Curtis Blaydes were among a group of five fighters to be issued potential 180-day medical suspensions in the aftermath of UFC Nashville. The Tennessee Athletic Commission released the event’s finalized medical suspension report to MMA Fighting on Monday. Pettis scored a stunning second-round knockout of Stephen Thompson in the night’s main event, while Blaydes dominated Justin Willis en route to a lopsided unanimous decision win in the card’s co-headlining bout. As a result of potential damage sustained in the contests, both fighters will be forced to seek medical clearance on their respective potential injuries (Pettis, ENT clearance; Blaydes, right foot) or sit out 180 days before returning to active competition, per Tennessee commission officials. Other than Pettis and Blaydes, three other fighters on the card received similar potential 180-day medical suspensions: Luis Pena (right shoulder and right lower ribs), Maycee Barber (right hand), and JJ Aldrich (ophthalmologist clearance).